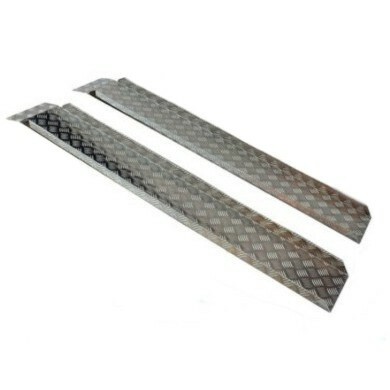 2 piece set of Aluminium loading ramps. Allows buggy to be easily loaded into rear of car or trailer. Weight per ramp: 5kg Length: 54" Width 11"
Wider ramps are available on request. Ramps - Aluminium 7 x 54"